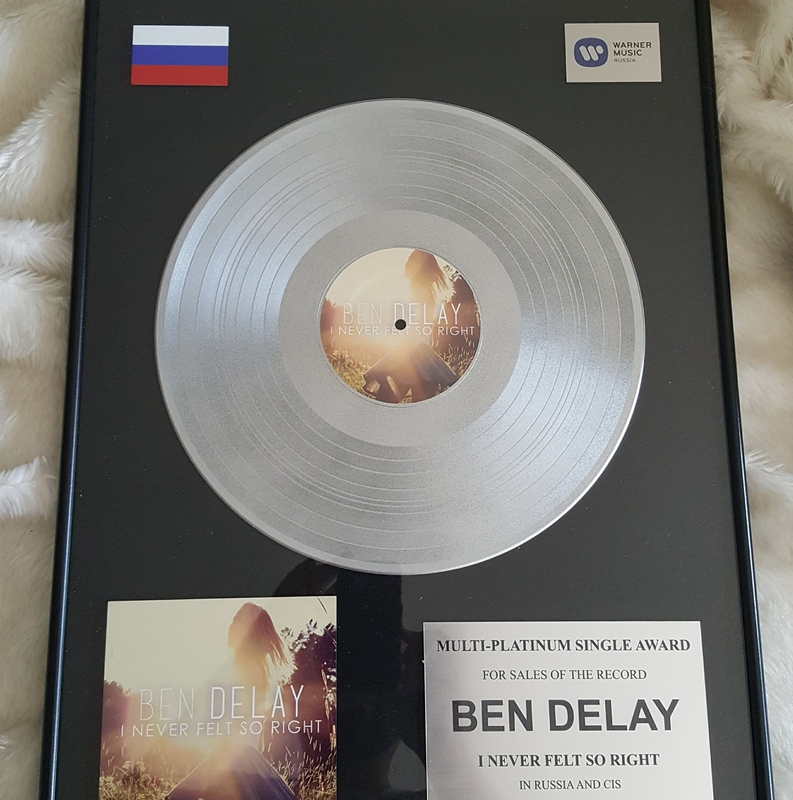 the most sold single of the year 2015 in Bulgaria & Turkey. Over 40 million views on Youtube & Facebook! His No.1 hit-single „I never felt so right“ (on EDXs label Enormous Tunes) first stayed in the Beatport Top100 for four months, then reached No.1 in 6 countries (Russia, Bulgaria etc. ), cracked the TOP 100 in over 20 countries and got licensed all over the world. He got awarded from Warner Music with 3 times platinum & 6 times gold for 300 000 singles sold and over 45 million streams.To date the track reached No.72 on the Shazam charts worldwide(! ), was shazamed over 1,8 million times got over 15 million views on Youtube and 4 million streams on Spotify. He also has 1,8 million followers an Shazam until today. The follow-up became his second No.1 hit – „The boy is mine“ (Nervous Records, New York) reached the TOP20 on Beatport with all three available mixes, peaked at No.2 and stayed there for nearly six months. It got picked up by Hedkandi / Ministry of Sound for a worldwide re-release, reached the No.1 spot in Estonia and cracked the TOP 100 in another 20 countries. and many other housemusic heavyweights. He is the owner of Sugarland Records, one of the best selling independent house labels of the last decade, Selling more than 100.000 copies of his releases only on VINYL. His productions & remixes can be found on top labels such as Toolroom, Spinnin, Kontor, Warner Music, Ministry of Sound, Enormous Tunes, Milk & Sugar, No Definition, Nervous Records, Weplay, Hedkandi etc.